For many of us, Easter is a time to celebrate. It's the holidays, the family’s round and there’s lots of chocolate for everyone. Unfortunately, it’s not the same story for our pets. 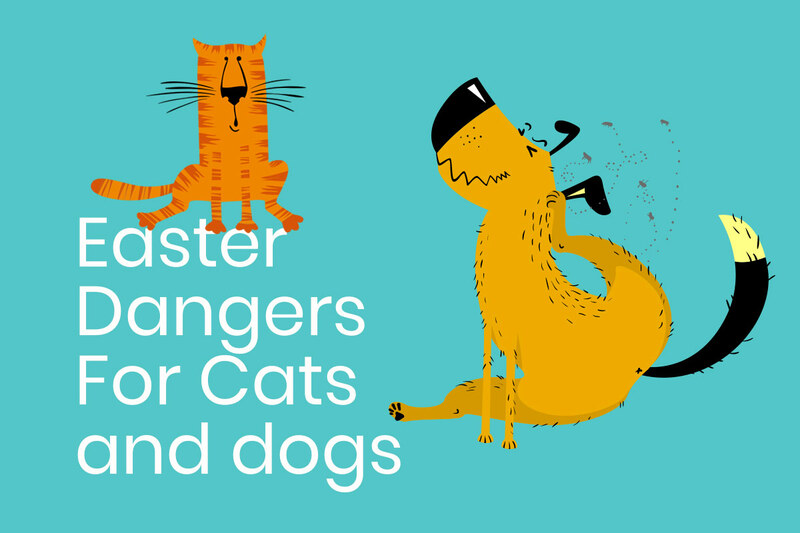 In fact, Easter is one of the most hazardous times of year for cats and dogs. And it’s not just about what we eat around this time of year. Springtime can also bring with it lots of hazards that we need to watch out for. 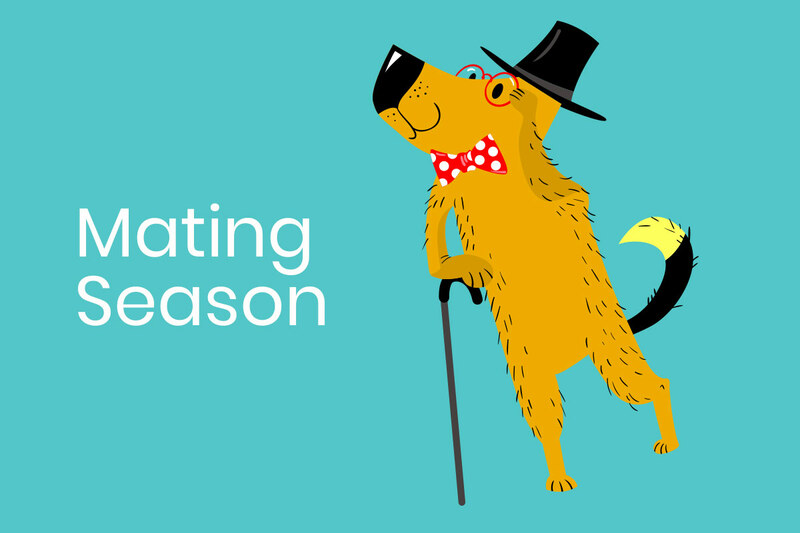 So, if you have a cat or a dog – or both – read our guide below to make sure you know how to keep your furry friends safe this season. One of the major concerns for pets around Easter time is chocolate. It’s poisonous for both cats and dogs. Dogs in particular are more likely to grab a chocolate bar off the side of the table than cats. But that’s still no reason to leave it lying around where they can get at it! Make sure you keep chocolate safely locked away where your cat or dog can’t get at it. And if you think your pet has accidentally eaten some chocolate, take them to the vet immediately. Walkies are much more fun when the sun is out! Just make sure you remember dog lead etiquette when headed to the park. Especially when other dogs and people are around. And if your dog is itching to get out and run around, why not get them a brand-new dog lead, so they can stretch their legs in style! It’s springtime and the flowers are in full bloom. However, this isn’t always good news. Flowers such as lilies and daffodils are bad news for cats and dogs. So, if you have pets, make sure you don’t have these around the house. Especially if you have cats as lilies are highly toxic for them and they’re more likely to jump up and get at a vase of flowers, or get the pollen on their fur. Xylitol is an artificial sweetener found in lots of foods, especially puddings, sweets, cakes and even things like peanut butter. And as humans are becoming more health conscious and trying to reduce the amount of sugar that they eat, sweeteners such as Xylitol are becoming more common in foods. Xylitol, however, is highly toxic to cats and dogs so it’s vital that you keep any foods that contain this sweetener out of their reach. Always check the label before giving your dog any peanut butter too to make sure it doesn’t contain any. Easter is often a time for crafts so it’s highly likely that if you have children, they’ve bought home something decorative! Small beads and things like Easter grass (shredded paper) can cause real problems for your pets. They won’t necessarily be able to tell the difference and are likely to start eating inedible items out of curiosity. Prevent any problems by keeping these things out of the way. As we move into the spring/summer months, the weather inevitably gets warmer! But even though we might be out enjoying the hot sunshine, we still need to make sure our pets are taken care of in the heat. Always make sure they have access to plenty of shade as well as fresh drinking water. 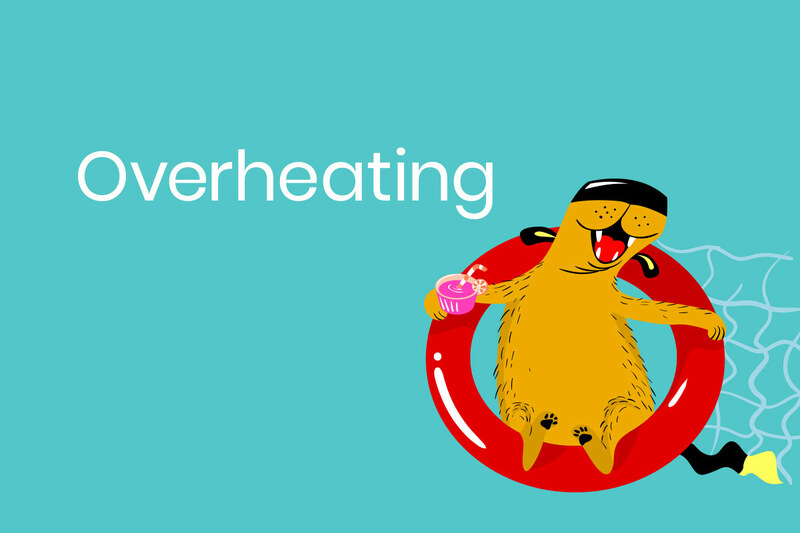 And never leave your pets in the car – regardless of how hot or cold it is. Flies and insects are much more prevalent around the spring and summer months. And it’s really important that you watch out for things like ticks as well as keep your cat or dog up-to-date with their flea treatments and medicines. Check your pets regularly for any bites. You should also check their paws and in-between their toes to help prevent any issues. Sunny weather and spring cleaning mean the windows are often wide open! 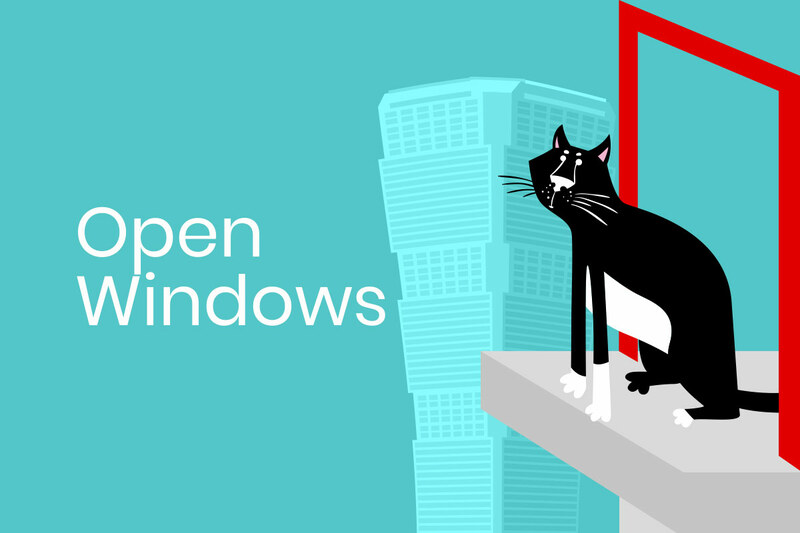 Great for letting in some fresh air but just watch out for your cats. Lovers of high places, it’s very common for cats to jump up somewhere high only to realise they can’t get down. Even worse, if they pad their way out of the window, there’s the risk that they might fall. Keep an eye on your cats and make sure your windows are locked on vent so that they can’t get out. Spring time is mating season! So, if you want to avoid some of the obvious issues and risks that can come along with this, make sure you speak to your vet. Avoid planting flowers like Azaleas, Sago Palms and Rhododendrons as these are all highly toxic to cats and dogs. It’s also important to avoid certain types of mulch as they can contain coffee grounds which, when accidentally eaten, can lead to caffeine toxicity. British weather always means rain. So, watch out for those downpours and make sure your pets don’t drink from muddy puddles. Especially those that have been around for a few days as they are full of bacteria and can cause problems if consumed. Rats are much more likely to be around this time of year which also means rat poison is more likely to be around. If you’re trying to deter rats and mice, it’s much better to use humane traps which you can buy online or from your local DIY store. Eating outside is one of the best ways to enjoy the sunny weather. And if you’re taking your dog with you, make sure you keep them on their lead and check for food on the floor before you sit down. If it’s been left under a table somewhere, you can almost guarantee your dog will sniff it out. So, check that it’s been removed, especially if it’s something that could make your dog ill.
For more tips and inspiration – as well as lots of adorable pet pics – head over to our Instagram and Facebook pages now @meandmypetsofficial.